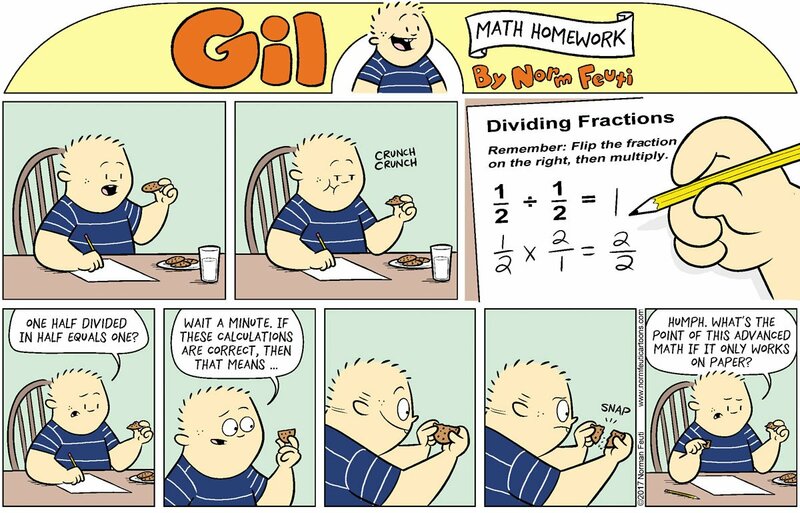 This week was another average-grade week of mathematically-themed comic strips. I wonder if I should track them and see what spurious correlations between events and strips turn up. That seems like too much work and there’s better things I could do with my time, so it’s probably just a few weeks before I start doing that. Ruben Bolling’s Super-Fun-Pax Comics for the 19th is an installment of A Voice From Another Dimension . It’s in that long line of mathematics jokes that are riffs on Flatland, and how we might try to imagine spaces other than ours. They’re taxing things. We can understand some of the rules of them perfectly well. Does that mean we can visualize them? Understand them? I’m not sure, and I don’t know a way to prove whether someone does or does not. This wasn’t one of the strips I was thinking of when I tossed “shapes” into the edition title, but you know what? It’s close enough to matching. Olivia Walch’s Imogen Quest for the 20th — and I haven’t looked, but it feels to me like I’m always featuring Imogen Quest lately — riffs on the Monty Hall Problem. The problem is based on a game never actually played on Monty Hall’s Let’s Make A Deal , but very like ones they do. There’s many kinds of games there, but most of them amount to the contestant making a choice, and then being asked to second-guess the choice. In this case, pick a door and then second-guess whether to switch to another door. The Monty Hall Problem is a great one for Internet commenters to argue about while the rest of us do something productive. The trouble — well, one trouble — is that whether switching improves your chance to win the car is that whether it does depends on the rules of the game. It’s not stated, for example, whether the host must open a door showing a goat behind it. It’s not stated that the host certainly knows which doors have goats and so chooses one of those. It’s not certain the contestant even wants a car when, hey, goats. 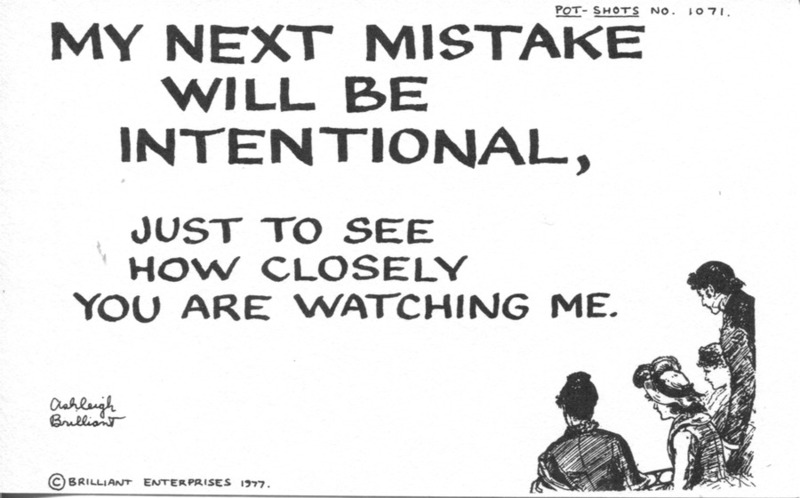 What assumptions you make about these issues affects the outcome. If you take the assumptions that I would, given the problem — the host knows which door the car’s behind, and always offers the choice to switch, and the contestant would rather have a car, and such — then Walch’s analysis is spot on. Jonathan Mahood’s Bleeker: The Rechargeable Dog for the 20th features a pretend virtual reality arithmetic game. The strip is of incredibly low mathematical value, but it’s one of those comics I like that I never hear anyone talking about, so, here. Richard Thompson’s Cul de Sac rerun for the 20th talks about shapes. And the names for shapes. It does seem like mathematicians have a lot of names for slightly different quadrilaterals. In our defense, if you’re talking about these a lot, it helps to have more specific names than just “quadrilateral”. Rhomboids are those parallelograms which have all four sides the same length. A parallelogram has to have two pairs of equal-sized legs, but the two pairs’ sizes can be different. Not so a rhombus. Mathworld says a rhombus with a narrow angle that’s 45 degrees is sometimes called a lozenge, but I say they’re fibbing. They make even more preposterous claims on the “lozenge” page. Todd Clark’s Lola for the 20th does the old “when do I need to know algebra” question and I admit getting grumpy like this when people ask. Do French teachers have to put up with this stuff? Brian Fies’s Mom’s Cancer rerun for the 23rd is from one of the delicate moments in her story. Fies’s mother just learned the average survival rate for her cancer treatment is about five percent and, after months of things getting haltingly better, is shaken. But as with most real-world probability questions context matters. The five-percent chance is, as described, the chance someone who’d just been diagnosed in the state she’d been diagnosed in would survive. The information that she’s already survived months of radiation and chemical treatment and physical therapy means they’re now looking at a different question. What is the chance she will survive, given that she has survived this far with this care? Mark Anderson’s Andertoons for the 24th is the Mark Anderson’s Andertoons for the week. It’s a protesting-student kind of joke. For the student’s question, I’m not sure how many sides a polygon has before we can stop memorizing them. I’d say probably eight. Maybe ten. Of the shapes whose names people actually care about, mm. Circle, triangle, a bunch of quadrilaterals, pentagons, hexagons, octagons, maybe decagon and dodecagon. No, I’ve never met anyone who cared about nonagons. I think we could drop heptagons without anyone noticing either. Among quadrilaterals, ugh, let’s see. Square, rectangle, rhombus, parallelogram, trapezoid (or trapezium), and I guess diamond although I’m not sure what that gets you that rhombus doesn’t already. Toss in circles, ellipses, and ovals, and I think that’s all the shapes whose names you use. Stephan Pastis’s Pearls Before Swine for the 25th does the rounding-up joke that’s been going around this year. It’s got a new context, though. And now the other half of last week’s comic strips. 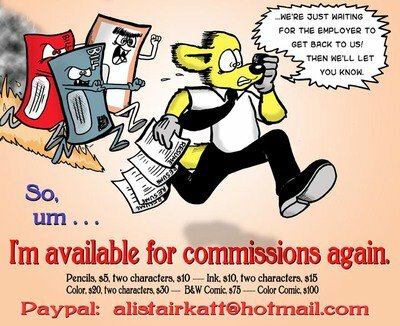 It was unusually rich in comics that come from Comics Kingdom or Creators.com, which have limited windows of access and therefore make me feel confident I should include the strips so my comments make any sense. Rick Kirkman and Jerry Scott’s Baby Blues for the 9th mentions mathematics homework as a resolutely rage-inducing topic. It’s mathematics homework, obviously, or else it wouldn’t be mentioned around here. And even more specifically it’s Common Core mathematics homework. So it always is with attempts to teach subjects better. Especially mathematics, given how little confidence people have in their own mastery. I can’t blame parents for supposing any change to be just malice. Rick Kirkman and Jerry Scott’s Baby Blues for the 9th of November, 2017. Again I maybe am showing off my lack of domesticity here, but, really, hard water spots? But I admit I’d like to get the tannin stain out of my clear plastic teapot, so I guess we all have our things. I just don’t feel strongly enough to punch about it. I just want something that I can scrub with. Bill Amend’s FoxTrot Classics for the 9th is about random numbers. As Jason says, it is hard to generate random numbers. Random numbers are a resource. Having a good source of them makes a lot of computation work. But they’re hard to make. It seems to be a contradiction to create random numbers by an algorithm. There’s reasons we accept pseudorandom numbers, or find quasirandom numbers. This strip originally ran the 16th of November, 2006. Chris Browne’s Hagar the Horrible for the 10th of November, 2017. Before you go getting all smug about Hagar no grasping numbers beyond ‘five’, consider what a dog’s breakfast English has managed historically to make of ‘hundred’. Thank you. Chris Browne’s Hagar the Horrible for the 10th is about the numerous. There’s different kinds of limits. There’s the greatest number of things we can count in an instant. There’s a limit to how long a string of digits or symbols we can remember. There’s the biggest number of things we can visualize. And “visualize” is a slippery concept. I think I have a pretty good idea what we mean when we say “a thousand” of something. I could calculate how long it took me to do something a thousand times, or to write a thousand of something. I know that it was at about a thousand words that, last A To Z sequence, I got to feeling I should wrap up any particular essay. But did I see any particular difference between word 999 and word 1,000? No; what I really knew was “about enough paragraphs” and maybe “fills just over two screens in my text editor”. So do I know what a thousand is? Anyway, we all have our limits, acknowledge them or not. Henry Scarpelli and Craig Boldman’s Archie rerun for the 17th of November, 2017. It really reminds you how dumb Moose is given that he’s asking Archie for help with his mathematics. C’mon, you know Dilton Doiley. And this strip is surely a rerun from before Dilton would be too busy with his oyPhone or his drones or any other distraction; what’s he have to do except help Moose out? Henry Scarpelli and Craig Boldman’s Archie rerun for the 17th is about Moose’s struggle with mathematics. Just writing “more or less” doesn’t fix an erroneous answer, true. But error margins, and estimates of where an answer should be, can be good mathematics. (Part of the Common Core that many parents struggle with is making the estimate of an answer the first step, and a refined answer later. Based on what I see crossing social media, this really offends former engineering majors who miss the value in having an expected approximate answer.) It’s part of how we define limits, and derivatives, and integrals, and all of calculus. But it’s in a more precise way than Moose tries to do. Ted Shearer’s Quincy for the 18th of September, 1978 and rerun the 11th of November, 2017. I feel like anytime I mention Quincy here I end up doing a caption about Ted Shearer’s art. But, I mean, look at the mathematics teacher in the second panel there. There’s voice in that face. Ted Shearer’s Quincy for the 18th of September, 1978 is a story-problem joke. Some of these aren’t complicated strips. Comic Strip Master Command hasn’t had many comics exactly on mathematical points the past week. I’ll make do. There are some that are close enough for me, since I like the comics already. And enough of them circle around people being nervous about doing mathematics that I have a title for this edition. Tony Cochrane’s Agnes for the 24th talks about math anxiety. 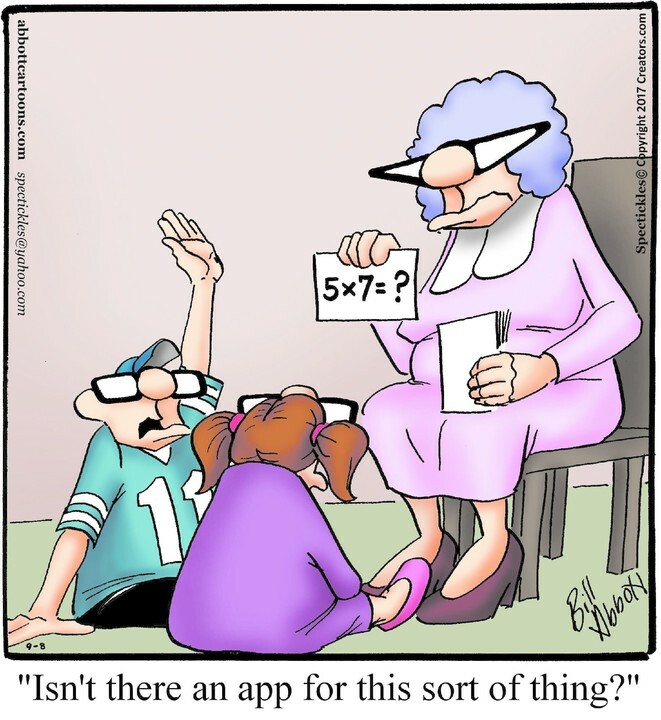 It’s not a comic strip that will do anything to resolve anyone’s mathematics anxiety. But it’s funny about its business. Agnes usually is; it’s one of the less-appreciated deeply-bizarre comics out there. John Atkinson’s Wrong Hands for the 24th might be the anthropomorphic numerals joke for this week. Or it might be the anthropomorphic letters joke. Or something else entirely. Charles Schulz’s Peanuts for the 24th reruns the comic from the 2nd of November, 1970. It has Sally discovering that multiplication is much easier than she imagined. As it is, she’s not in good shape. But if you accept ‘tooty-two’ as another name for ‘four’ and ‘threety-three’ as another name for ‘nine’, why not? And she might do all right in group theory. In that you can select a bunch of things, called ‘elements’, and describe their multiplication to fit anything you like, provided there’s consistency. There could be a four-forty-four if that seems to answer some question. Steve Kelley and Jeff Parker’s Dustin for the 25th of October, 2017. The kid’s premise this week is about advice for maximizing trick-or-treating hauls. So it circles around sabermetrics and the measurement of every possible metric relevant to a situation. It’s a bit baffling to me, since I just do not remember the quality of a costume relating to how much candy I’d gotten. Nor to what I give out, at least once you get past “high school kid not even bothering to dress up”. And even they’ll get a couple pieces although, yeah, if they did anything they’d get the full-size peanut butter cups. (We’re trying to build a reputation here.) What I’m saying is, I don’t see how the amount of candy depends on more than “have a costume” and “spend more time out there”. I mean, are people really withholding the fruit-flavored Tootsie Rolls because some eight-year-old doesn’t have an exciting enough costume? Really? Steve Kelley and Jeff Parker’s Dustin for the 25th might be tied in to mathematics anxiety. At least it expresses how the thought of mathematics will cause some people to shut down entirely. Shame for them, but I can’t deny it’s so. Hilary Price’s Rhymes with Orange for the 26th of October, 2017. The signature also credits Rina Piccolo, late of Six Chix and Tina’s Groove . The latter strip ended in July 2017, and she left the former last year. Maybe she’s picking up some hours part-timing on Rhymes With Orange ; her signature’s been on many strips recently. Wikipedia doesn’t have anything relevant to say, and the credit on the web site doesn’t reflect Piccolo’s work, if she is a regular coauthor now. Hilary Price’s Rhymes with Orange for the 26th is a calculator joke, made explicitly magical. I’m amused but also wonder if those are small wizards or large mushrooms. And it brings up again the question: why do mathematics teachers care about seeing how you got the answer? Who cares, as long as the answer is right? And my answer there is that yeah, sometimes all we care about is the answer. But more often we care about why someone knows the answer is this instead of that. The argument about what makes this answer right — or other answers wrong — should make it possible to tell why. And it often will help inform other problems. Being able to use the work done for one problem to solve others, or better, a whole family of problems, is fantastic. It’s the sort of thing mathematicians naturally try to do. Jason Poland’s Robbie and Bobby for the 26th is an anthropomorphic geometry joke. And it’s a shape joke I don’t remember seeing, at least not under my Reading the Comics line of jokes. (Maybe I’ve just forgotten). Also, trapezoids: my most popular post of all time ever, even though it’s only got a couple months’ lead on the other perennial favorite, about how many grooves are on a record’s side. Jerry Scott and Jim Borgman’s Zits for the 27th of October, 2017. I understand people who don’t find Zits a particularly strong comic. (My experience is it’s more loved by my parent’s cohort than by mine.) But I will say when Scott and Borgman go for visual metaphor the strip is easily ten times better. I think the cartoonists have some editorial-cartoon experience and they’ll sometimes put it to good use. Jerry Scott and Jim Borgman’s Zits for the 27th uses mathematics as the emblem of complicated stuff in need of study. It’s a good visual. I have to say Jeremy’s material seems unorganized to start with, though. Today Gaurish, of For the love of Mathematics, gives me the last subject for my Summer 2017 A To Z sequence. And also my greatest challenge: the Zeta function. The subject comes to all pop mathematics blogs. It comes to all mathematics blogs. It’s not difficult to say something about a particular zeta function. But to say something at all original? Let’s watch. The spring semester of my sophomore year I had Intro to Complex Analysis. Monday Wednesday 7:30; a rare evening class, one of the few times I’d eat dinner and then go to a lecture hall. There I discovered something strange and wonderful. Complex Analysis is a far easier topic than Real Analysis. Both are courses about why calculus works. But why calculus for complex-valued numbers works is a much easier problem than why calculus for real-valued numbers works. It’s dazzling. Part of this is that Complex Analysis, yes, builds on Real Analysis. So Complex can take for granted some things that Real has to prove. I didn’t mind. Given the way I crashed through Intro to Real Analysis I was glad for a subject that was, relatively, a breeze. As we worked through Complex Variables and Applications so many things, so very many things, got to be easy. The basic unit of complex analysis, at least as we young majors learned it, was in contour integrals. These are integrals whose value depends on the values of a function on a closed loop. The loop is in the complex plane. The complex plane is, well, your ordinary plane. But we say the x-coordinate and the y-coordinate are parts of the same complex-valued number. The x-coordinate is the real-valued part. The y-coordinate is the imaginary-valued part. And we call that summation ‘z’. In complex-valued functions ‘z’ serves the role that ‘x’ does in normal mathematics. Integrating regular old functions of real-valued numbers is this tedious process. There’s sooooo many rules and possibilities and special cases to consider. There’s sooooo many tricks that get you the integrals of some functions. And then here, with complex-valued integrals for analytic functions, you know the answer before you even look at the function. As you might imagine, since this is only page 113 of a 341-page book there’s more to it. Most functions that anyone cares about aren’t analytic. At least they’re not analytic everywhere inside regions that might be interesting. There’s usually some points where an interesting function ‘f(z)’ is undefined. We call these “singularities”. Yes, like starships are always running into. Only we rarely get propelled into other universes or other times or turned into ghosts or stuff like that. Those tricks were hard to master. Not because they were hard. Because they were easy, in a context where we expected hard. But after that we got into how to move singularities. That is, how to do a change of variables that moved the singularities to where they’re more convenient for some reason. How could this be more convenient? Because of chapter five, series. In regular old calculus we learn how to approximate well-behaved functions with polynomials. In complex-variable calculus, we learn the same thing all over again. They’re polynomials of complex-valued variables, but it’s the same sort of thing. And not just polynomials, but things that look like polynomials except they’re powers of instead. These open up new ways to approximate functions, and to remove singularities from functions. And then we get into transformations. These are about turning a problem that’s hard into one that’s easy. Or at least different. They’re a change of variable, yes. But they also change what exactly the function is. This reshuffles the problem. Makes for a change in singularities. Could make ones that are easier to work with. One of the useful, and so common, transforms is called the Laplace-Stieltjes Transform. (“Laplace” is said like you might guess. “Stieltjes” is said, or at least we were taught to say it, like “Stilton cheese” without the “ton”.) And it tends to create functions that look like a series, the sum of a bunch of terms. Infinitely many terms. Each of those terms looks like a number times another number raised to some constant times ‘z’. As the course came to its conclusion, we were all prepared to think about these infinite series. Where singularities might be. Which of them might be removable. These functions, these results of the Laplace-Stieltjes Transform, we collectively call ‘zeta functions’. There are infinitely many of them. Some of them are relatively tame. Some of them are exotic. One of them is world-famous. Professor Walsh — I don’t mean to name-drop, but I discovered the syllabus for the course tucked in the back of my textbook and I’m delighted to rediscover it — talked about it. That world-famous one is, of course, the Riemann Zeta function. Yes, that same Riemann who keeps turning up, over and over again. It looks simple enough. Almost tame. Take the counting numbers, 1, 2, 3, and so on. Take your ‘z’. Raise each of the counting numbers to that ‘z’. Take the reciprocals of all those numbers. Add them up. What do you get? A mass of fascinating results, for one. Functions you wouldn’t expect are concealed in there. There’s strips where the real part is zero. There’s strips where the imaginary part is zero. There’s points where both the real and imaginary parts are zero. We know infinitely many of them. If ‘z’ is -2, for example, the sum is zero. Also if ‘z’ is -4. -6. -8. And so on. These are easy to show, and so are dubbed ‘trivial’ zeroes. To say some are ‘trivial’ is to say that there are others that are not trivial. Where are they? Professor Walsh explained. We know of many of them. The nontrivial zeroes we know of all share something in common. They have a real part that’s equal to 1/2. There’s a zero that’s at about the number . Also at . There’s one at about . Also about . (There’s a symmetry, you maybe guessed.) Every nontrivial zero we’ve found has a real component that’s got the same real-valued part. But we don’t know that they all do. Nobody does. It is the Riemann Hypothesis, the great unsolved problem of mathematics. Much more important than that Fermat’s Last Theorem, which back then was still merely a conjecture. What a prospect! What a promise! What a way to set us up for the final exam in a couple of weeks. I had an inspiration, a kind of scheme of showing that a nontrivial zero couldn’t be within a given circular contour. Make the size of this circle grow. Move its center farther away from the z-coordinate to match. Show there’s still no nontrivial zeroes inside. And therefore, logically, since I would have shown nontrivial zeroes couldn’t be anywhere but on this special line, and we know nontrivial zeroes exist … I leapt enthusiastically into this project. A little less enthusiastically the next day. Less so the day after. And on. After maybe a week I went a day without working on it. But came back, now and then, prodding at my brilliant would-be proof. The Riemann Zeta function was not on the final exam, which I’ve discovered was also tucked into the back of my textbook. It asked more things like finding all the singular points and classifying what kinds of singularities they were for functions like instead. If the syllabus is accurate, we got as far as page 218. And I’m surprised to see the professor put his e-mail address on the syllabus. It was merely “bwalsh@math”, but understand, the Internet was a smaller place back then. I finished the course with an A-, but without answering any of the great unsolved problems of mathematics. It was looking like another slow week for something so early in the (United States) school year. Then Comic Strip Master Commend sent a flood of strips in for Friday and Saturday, so I’m splitting the load. It’s not a heavy one, as back-to-school jokes are on people’s minds. But here goes. Marcus Hamilton and Scott Ketcham’s Dennis the Menace for the 3rd of September, 2017 is a fair strip for this early in the school year. It’s an old joke about making subtraction understandable. Marcus Hamilton and Scott Ketcham’s Dennis the Menace for the 3rd of September, 2017. The joke pretty well explains itself, but I would like to point out the great use of color for highlighting here. The different shades are done in a way very consistent with the mid-century stylings of the characters, but are subtler than could have been done when Hank Ketcham started the comic in the 1950s. For that matter, it’s subtler than could have been printed until quite recently in the newspaper industry. It’s worth noticing. Mark Anderson’s Andertoons for the 3rd is the Mark Anderson installment for this week, so I’m glad to have that. It’s a good old classic cranky-students setup and it reminds me that “unlike fractions” is a thing. I’m not quibbling with the term, especially not after the whole long-division mess a couple weeks back. I just hadn’t thought in a long while about how different denominators do make adding fractions harder. Jeff Harris’s Shortcuts informational feature for the 3rd I couldn’t remember why I put on the list of mathematically-themed comic strips. The reason’s in there. There’s a Pi Joke. But my interest was more in learning that strawberries are a hybrid created in France from a North American and a Chilean breed. Isn’t that intriguing stuff? Bill Abbott’s Specktickles for the 8th of September, 2017. I confess that I don’t know whether this comic is running in any newspapers. But I could find it easily enough so that’s why I read it and look for panels that touch on mathematics topics. Bill Abbott’s Specktickles for the 8th uses arithmetic — multiplication flash cards — as emblem of stuff to study. About all I can say for that.